Kris Shevlin is a highly specialized physical therapist with 30 years of experience. Her unique approach to healing includes a combination of the science of physical therapy and the art and movement of Pilates. This combined strategy is intended to improve and maintain every client to their highest level of functioning. Providing a unique physical therapy experience, Kris strives to empower her clients with the knowledge of the human body and the tools to achieve optimal performance in daily life. Kris’s motto, “STAND TALL WALK TALL” is the essence of her healing philosophy. Her repertoire includes focus on osteoporosis education and exercise, and rehabilitation for breast cancer and exercise. Kris saw a profound need for her specialized programs and began to individually tailor and implement her approach to her clients specific needs. Her philosophy embodies the critical thinking based on the underlining science of pilates and the concept of applied anatomy, physiology and physical therapy for the optimal mind body connection. 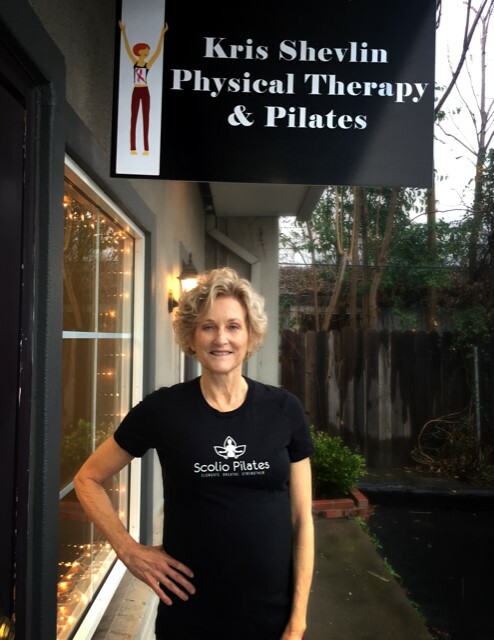 Kris saw a need to provide specialized Pilates training to scoliosis clients and has spent the past two years studying Karena Thek’s Scolio-Pilates program. Kris Shevlin is a licensed physical therapist with a Master’s Degree in Physical therapy from Columbia University. She is Polstar Pilates certified since 2005 and is a member of the Pilates Method Alliance.